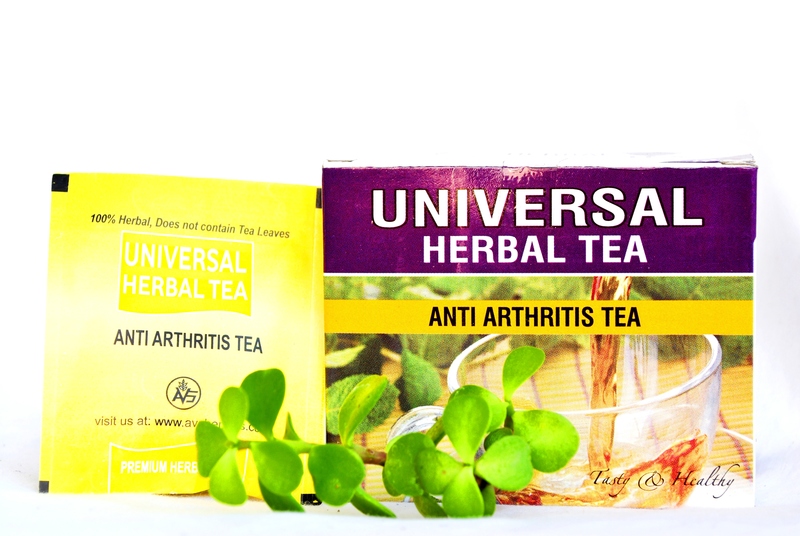 Universal herbal tea anti arthritis formula is a boon for patients of arthritis. Usually arthritis patients are forced to take harmful painkiller tablets for long durations. Universal herbal tea anti gastritis formula saves the agony of such painkiller intake. Adorned with herbs like colchicum, cinnamonum, terminalia, Vitex Negundo, saunth, guggul, harad etc., Universal herbal tea anti gastritis formula is a perfect combination to provide relief from painful and swollen joints. Universal herbal tea anti gastritis formula has been shown to stimulate joint regeneration and synovial fluid formation. Universal herbal tea anti gastritis formula also prevents cartilage degeneration, osteophyte formation, and ligament laxity. It not only provides symptomatic relief but also serves to prevent pathogenesis of arthritic process in the joints. In healthy adults, it delays the ongoing degeneration of the joints and facilitates their lubrication for longer periods.